For one second, picture yourself as a researcher 20 years down the line, trying to find the root event that started a profound shift in the business world in Australia. You should be able to trace it back to one guy reading one book. In 2015 Mykel Dixon read the Business Romantic by Tim Leberecht and the Business Romance idea hit him, stayed with him until he just had to do something. 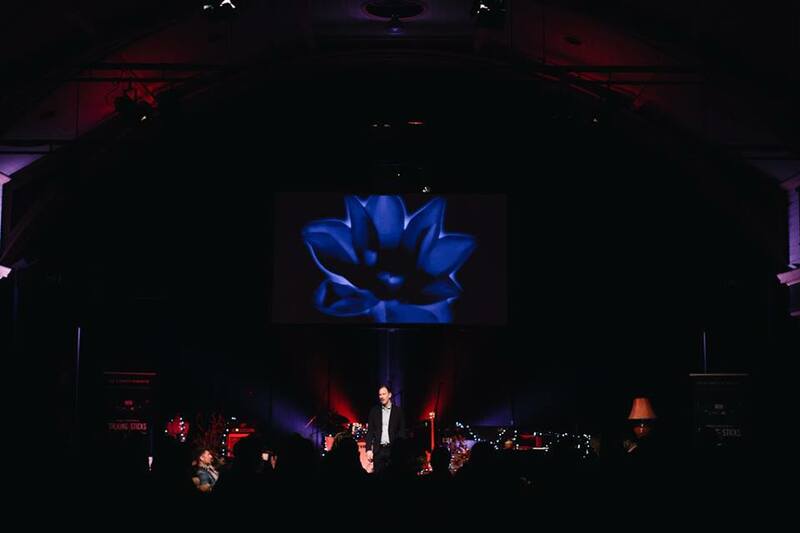 The last day of March 2017, roughly two years later, Tim and Mykel were both on stage in Melbourne for the Business Romantic 2017 event and created an experience for participants powerful enough to shift their perception of work forever. The article “Tim Leberecht wants to bring romance to work” by Lou Pardi is a great summary of the key points touched on by Tim in his keynote. What I’d like to emphasize here is the role Mykel played to set the stage for Tim’s ideas to be fully embodied and experienced by us all. It reminded me of the classic video “First Follower: Leadership Lessons from Dancing Guy”. If you have never seen that video it’s a must see with powerful insights on leadership and the role of first followers. Coming back to Melbourne on Friday 31st March, Business Romance could have remained a crazy idea by this interesting yet a bit strange German guy. But with Mykel as a first follower it didn’t take us long to join the dance, literally. When I look at the three key ideas, the three rules of enchantment, that Tim chose to present that day I can’t help but noticing how Mykel’s design of the day helped us take the lessons home. 1. “Waste time”. When I arrived at the conference I couldn’t believe that we had to do our own name badge. Talk about a waste of time, or was it really? And what about blocks of time in the morning and in the afternoon with no agenda? Putting 100+ people in the same room with no set agenda, isn’t that the exact definition of a waste of time? But then how come this is not what we experienced. How beautiful that it enabled key contributions by participants on things that really mattered to them. 2. “Know nothing, tell no one”. From the invitation and various communications prior to the event to the unfolding of the day (with the gift, the letter to a stranger) everything was deeply infused with mystery. A colleague of mine in Sydney that I had advised to go to the conference told me of his moment of panic the evening before the event, not knowing where he was going and what he was going to do the next morning. I wish I could have told him something but I couldn’t, as the only rule of the Business Romance conference is that there is no such thing as the Business Romance conference. The mystery really kept us all on our toes. 3. “Suffer (a little).” Not exactly a best practice in the conference world to have your participants suffer from what I’ve heard. And still we did suffer (a little) as we explored the taboo subject of death and how to manage it in the office with Jessie Williams. On several occasions throughout the day, there was time to acknowledge negative feelings, unpleasant experiences and existential crises that are also part of our human journey, in and outside of work. And for me that’s probably the biggest achievement by Mykel and Tim that day, enabling 100+ participants to be their whole self for a full day, something they could never be until that day in a professional setting. I remember one participant over coffee sharing how much energy she burns daily just to control, filter and suppress emotions in her professional life. What an eye opener on the modern company, this abattoir of the human soul. And let’s be honest here, there were times when I felt those guys had opened the Pandora box, but in the end, as they had anticipated, beauty prevailed. Will the Business Romantic 2017 event remain a parenthesis in time for the lucky few who attended? It’s hard to think that this group could now be satisfied with just another dull day in the office. On March 31st 2017 in Melbourne we all took a chance on Business Romance, had a glimpse into what work should really look like and I really hope many of us have woken up to a different professional future on April 1st 2017, and that’s no April fools’ joke!